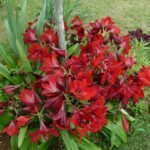 Amaryllis plants are popular gifts that are easy to grow and provide breathtaking flower displays. These South African natives grow fast, bloom for weeks and leave behind huge sword-shaped greenery. Once the amaryllis flowers are gone, the plant can still provide a tropical look for months. All that is needed is good post bloom care of amaryllis and you can enjoy the plant while it stores energy for the next year’s flowers. Amaryllis bulbs are common around the winter holidays. The bold, nodding flowers on thick, erect stems bring a festive beauty to the home interior when skies are gray and temperatures are chilly outside. Once the flowers fade, you are still left with a spectacular plant. Caring for amaryllis plants after blooming varies little from regular bloom care, but it is important to provide a dormancy period for the bulb if you want additional flowers in the future. Amaryllis flowers may last for weeks but, eventually, all things come to pass. No matter, as you still have glossy green leaves that are gathering the sun’s energy to fuel another bloom. Since this is the plant’s active growth period, it is important to continue to offer water, food and sunlight. Cut off the old flower stem 1 to 2 inches from the bulb. Keep the container in a sunny window where temperatures are around 65 to 70 degrees Fahrenheit (18-21 C.). Water when the top surface of the soil feels dry. Caring for amaryllis plants after blooming requires fertilizing every 2 to 3 weeks with a water soluble plant food. This keeps the strappy leaves happy and healthy so they can photosynthesize and gather plant carbohydrates. Once you get your plant through winter and sunny skies and warm temperatures have arrived, you can move the plant outdoors. Some shock will occur if you don’t slowly adjust the plant to the outside conditions. Gradually, leave it outside longer and longer over the course of a week. Continue to water and feed the amaryllis just as you did inside. With direct sun exposure, it may need more water than it did indoors, so check the soil frequently. 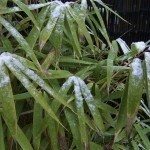 In July, suspend fertilizing to get the plant ready for its dormant period. This prevents new leaves from forming, which will just tax the bulb when it should be saving energy. Most bulbs require a dormant period to bloom. 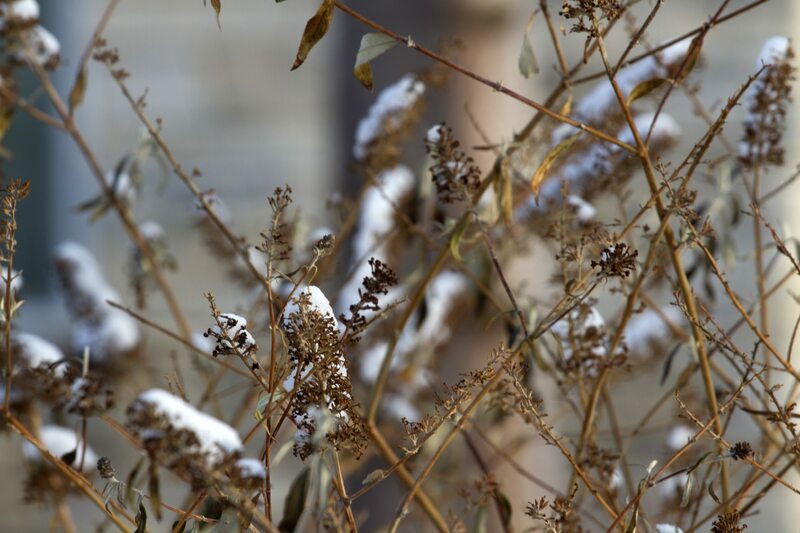 Dormancy occurs as a natural response to cooler temperatures. In the case of amaryllis, the temperatures should be 50 degrees Fahrenheit (10 C.) for 8 to 10 weeks to promote reblooming. To force dormancy, you first need to decide when you want the plant to bloom. For a December bloom, get the plant ready by stopping all watering in September. This will gradually cause leaves to wilt and die back. Additionally, move the plant to a dimly lit location. Once the leaves are brown, cut them off, dig up the bulb and wash and trim the roots a little bit. Then store the bulb on its side in a cool, dry, dark area. The minimum storage time is 8 weeks to ensure blooms. As you can see, caring for amaryllis plants after blooming is easy but crucial to the next year’s bodacious blooms.